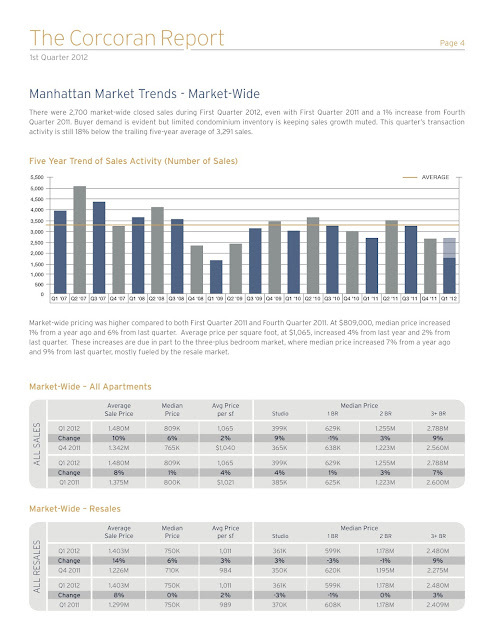 With 2,700 sales, Manhattan transaction activity remained steady during First Quarter 2012. 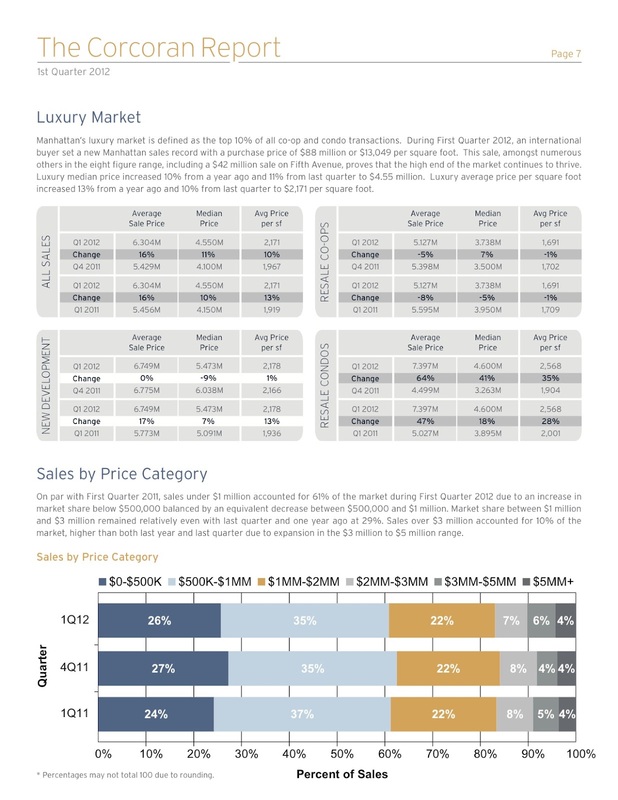 This sales level was even with First Quarter 2011 but slightly higher than Fourth Quarter 2011. Closings were 60% higher this quarter compared to First Quarter 2009. Demand is outpacing supply as inventory continues to fall. 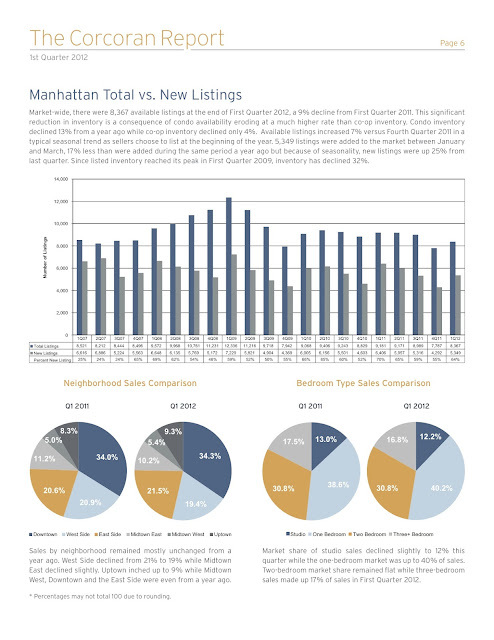 Total market-wide listings declined 9% versus a year ago to 8,367. Availability typically rises at the beginning of each year; this year listings increased 7% versus Fourth Quarter 2011, a more substantial increase from the same period one year prior. On the new development front, limited new product introduction is the leading cause of supply constraints. 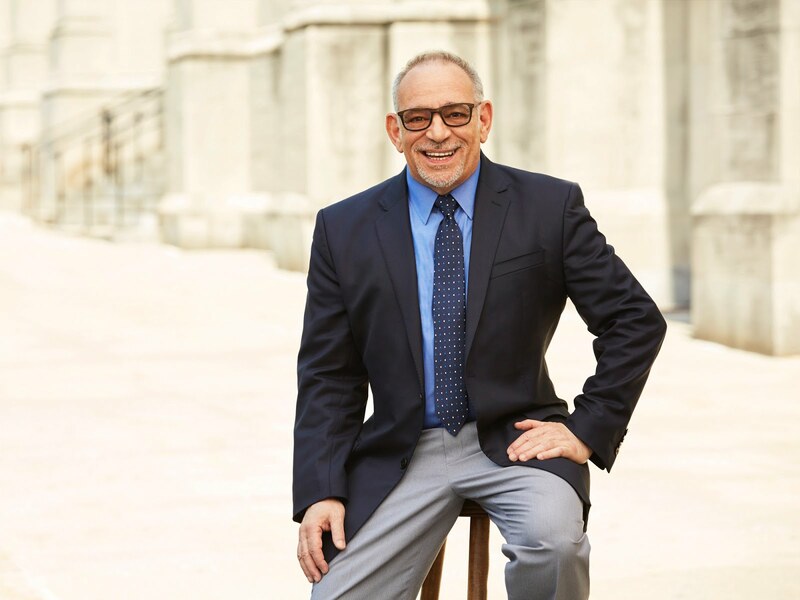 As a result of steady demand and diminishing inventory, prices are being pushed higher as prospective buyers are forced to enter the resale market. 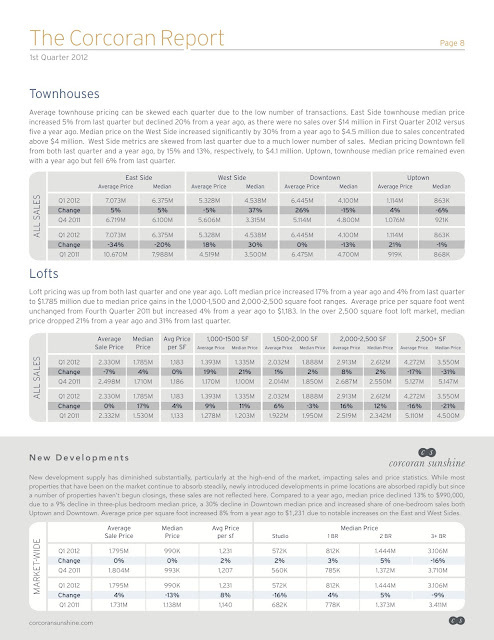 For these reasons, market-wide median price, at $809,000, increased 1% from a year ago and 6% from last quarter. Average price per square foot, at $1,065, increased 4% from a year ago and 2% from last quarter. Condo price per square foot was at its highest since First Quarter 2009. 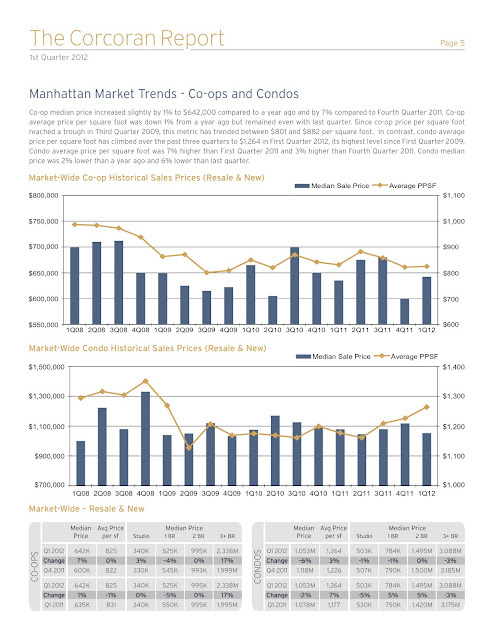 The very high end of the market continues to record eight figure transactions with records set in First Quarter 2012. Strong demand for super luxury properties only solidifies this city’s position as one of the world’s top real estate markets with broad appeal to home buyers from around the globe. On the new development front, limited new product introduction is the leading cause of supply constraints.